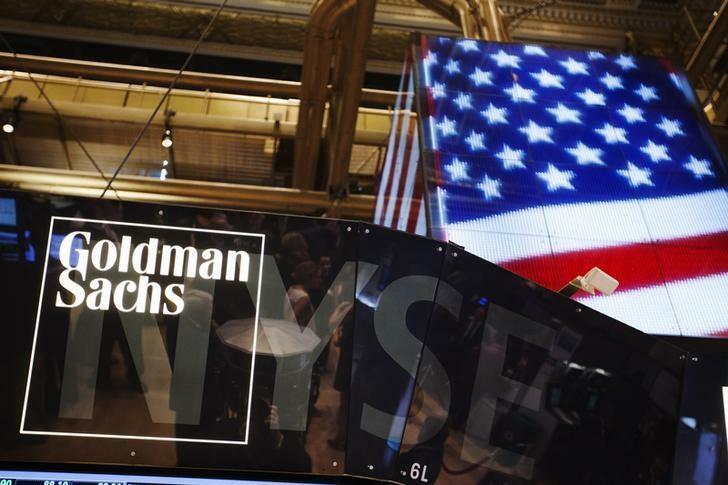 (Reuters) - Goldman Sachs Group Inc has filed for a slew of new exchange-traded funds, most of them alternative, another step by the Wall Street bank in its pursuit of the fast-growing, nearly $2 trillion U.S. ETF market. In a filing with the U.S. Securities and Exchange Commission dated Friday, Goldman outlined plans for 11 ETFs, including six funds it dubbed "ActiveBeta" and five hedge fund-themed funds, all of which are passively managed. Among the new funds are those tied to international, emerging markets, Europe and Japan equity, as well as U.S. large-cap and small-cap stocks. The hedge fund-themed ETFs include those focusing on event-driven and equity long-short strategies, among others. The thinking is that the funds' underlying indexes will seek to replicate the returns of hedge funds using those strategies. Goldman did not give details in its filing on the "ActiveBeta" ETFs. Goldman Sachs Asset Management LP is named as the index provider. The ETFs are to be listed on the NYSE Arca exchange, according to the filing, but no tickers or prices were given. The Arca exchange, one of the New York Stock Exchange's trading platforms, is where the bulk of all ETFs are traded. Goldman in September had filed for permission to launch actively managed exchange-traded funds, as well as to self-index, which allows it to launch funds based on its own proprietary indexes. The company in July shifted a key executive to help widen its ETF product strategy but otherwise has been largely quiet on its plans to expand in the ETF sector. Goldman did not immediately return a request for comment.